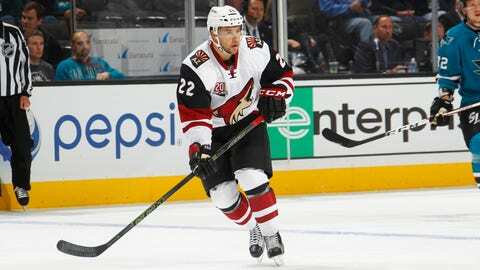 Former NHL player Craig Cunningham collapsed on the ice prior to the Tucson Roadrunners' scheduled game on Saturday. Tucson.com reported Cunningham, the team captain, suffered a medical emergency. Cunningham appeared to convulse after hitting the ice. Medics worked on Cunningham, who was lying on his back, and cut away his jersey. They performed chest compressions before moving him off the ice and into an ambulance. Cunningham. 26, was drafted in the fourth round (97th overall) by the Bruins in 2010, Cunningham had three goals and eight points in 63 NHL games. Cunningham has four goals and nine assists in 11 games this season for Tucson, the Coyotes' top farm club. The game between the Roadrunners and Moose was postponed. No makeup date was announced. Fellow players immediately took to social media wishing their fellow player well. Praying for one of my best friends Craig Cunningham. Keep fighting Craig. Been lucky to meet great people in this game. None better than Craig Cunningham. Please pray and think of him tonight.